For Shimmer Glass Cleaning occupational health and safety is the foundation to all that we do. We have a 100% Safety Record. 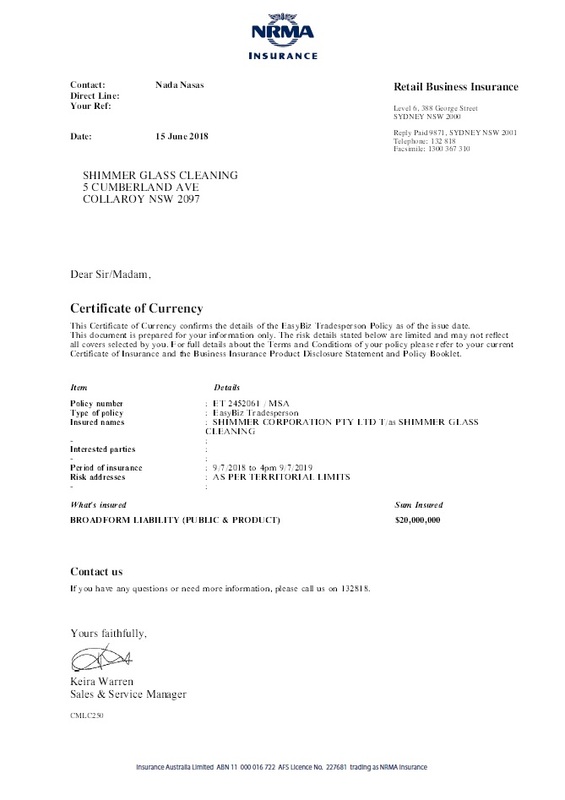 Shimmer Glass Cleaning is fully insured with $20,000,000 of public liability insurance. Every one of our technicians are fully covered by Australian Workers Compensation Insurance. 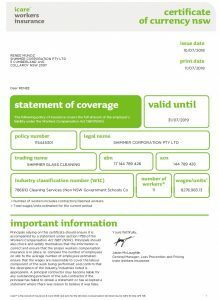 Shimmer Glass Cleaning are registered with Trades Monitor and are fully accredited. Shimmer Glass Cleaning are accredited members of the Community Select Pegasus Group. 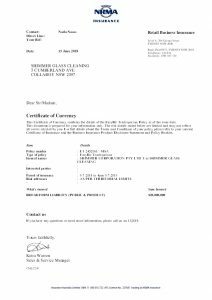 Shimmer Glass Cleaning is also a proud member of the Australian Window Cleaning Federation. Your guys were early. Very polite, extremely professional and did the most fantastic job. I'd not only recommend you, but will use you as my window cleaners til I die. Hopefully we have a long relationship. Thanks for you outstanding work.